The countdown has begun and I’m so excited I just can’t hide it! 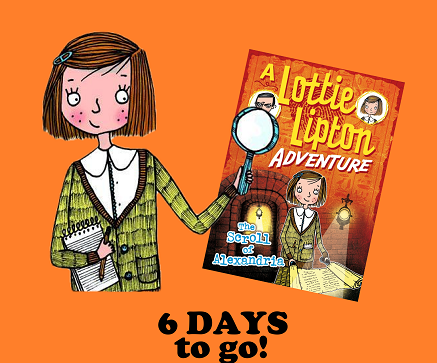 Lottie will reappear in bookshops everywhere in two brand new titles: The Scroll of Alexandria and The Egyptian Enchantment. CLICK HERE FOR THE BLURBS! This also means I’ll be allowed out of the house again to go and promote the books so keep an eye out for appearances near you! I’ll endeavour to keep the events diary (tab above) updated. As ever, if you want me to visit your school, library or festival, get in touch via the About Me>Schools tab on danmetcalf.co.uk. ‹ Lottie Lipton First Look!